I'm a little biased — I love HBO. I wouldn't want to cancel my subscription, because there are constantly shows I want to watch. But I understand not everyone is like me. Some people might only subscribe to watch, say, Game of Thrones, then cancel their subscription when the show ends. In that case, if you're reading this before July 30th, you'll want to use this information five episodes from now. Whether you're only in it for one show, or you've just had enough of what HBO has to offer, you're looking for a way to end the subscription. We have you covered! Follow the instructions below, and you'll be free to spend your HBO money on whatever you want. In the HBO Now app, tap the hamburger icon in the top-left corner. Tap "Settings," then tap "Billing Information." 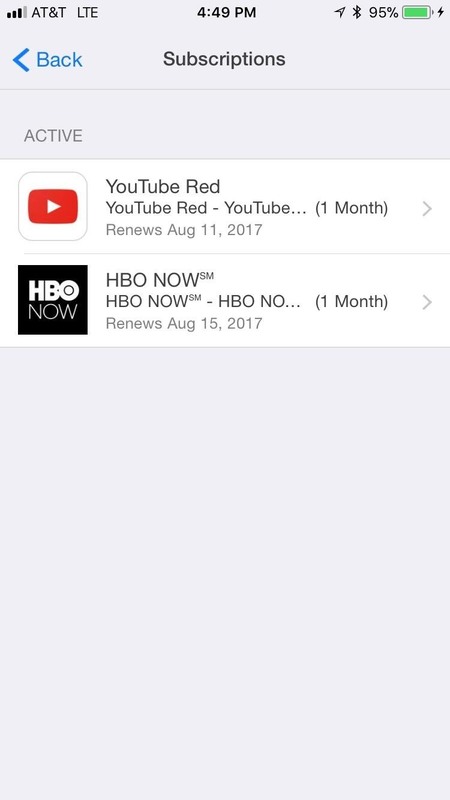 Your provider will be listed here as: "Your HBO NOW subscription is purchased through ____"
If you've subscribed through iTunes, you must be on iPhone. In that case, unsubscribing is as easy as heading to the Settings menu on your phone, then going to iTunes & App Store -> Apple ID -> View Apple ID -> Enter Passcode or Touch ID -> Subscriptions. Okay, maybe that's a long chain of actions. 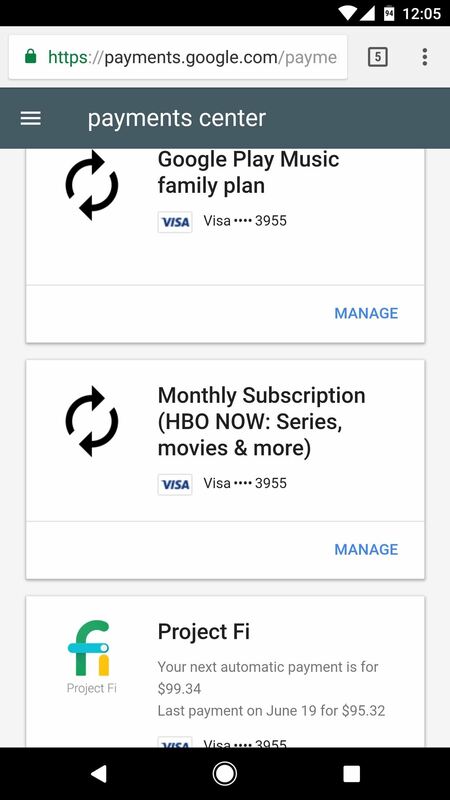 But once you make it to Subscriptions, just select HBO Now. Next, tap "Cancel Subscription." Boom! 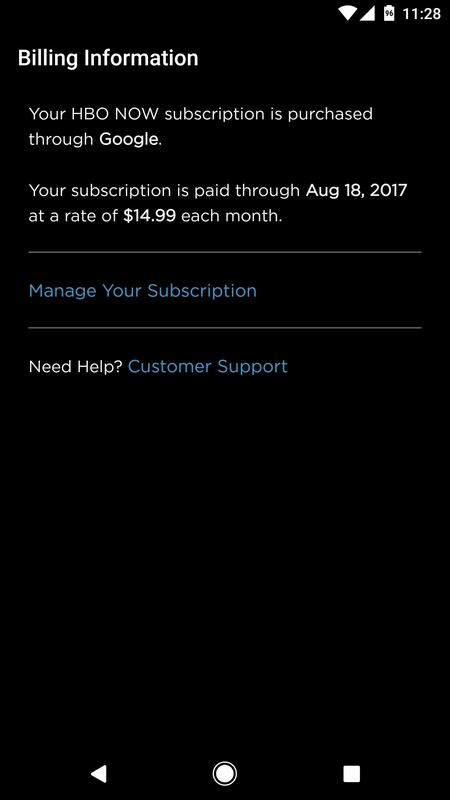 You've just canceled your subscription. If your provider is Google, the steps are a little different. Head to this link and sign in with the Google account you use on your Android device. 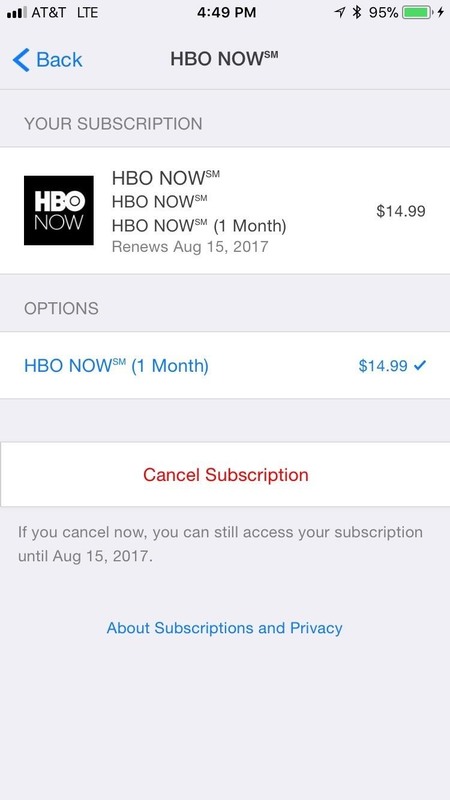 From there, scroll down and tap the "Manage" button beneath HBO Now, then just tap "Unsubscribe." I have to hand it to Google. Their cancellation process is a lot quicker than Apple's.